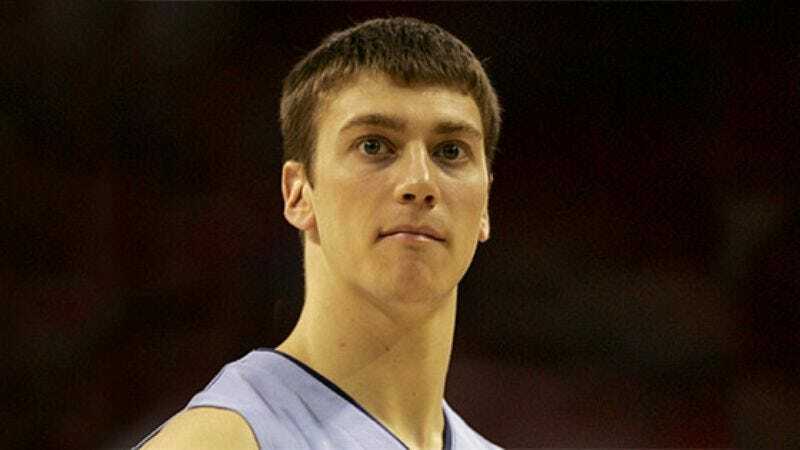 DETROIT—Before playing in all of his games, North Carolina forward Tyler Hansbrough makes sure to look his most rakish by grooming and tidying his hairdo with a number of styling products. "Just a little more here," said Hansbrough, while applying coconut-scented Bed Head manipulating gel to meticulously form and shape his sporty coiffure. "Perfect." Moments after carefully putting on his jersey in a manner calculated not to disturb his hair, Hansbrough took one last look in the mirror before heading out to the court, where he missed pregame warm-ups for the 56th consecutive time.